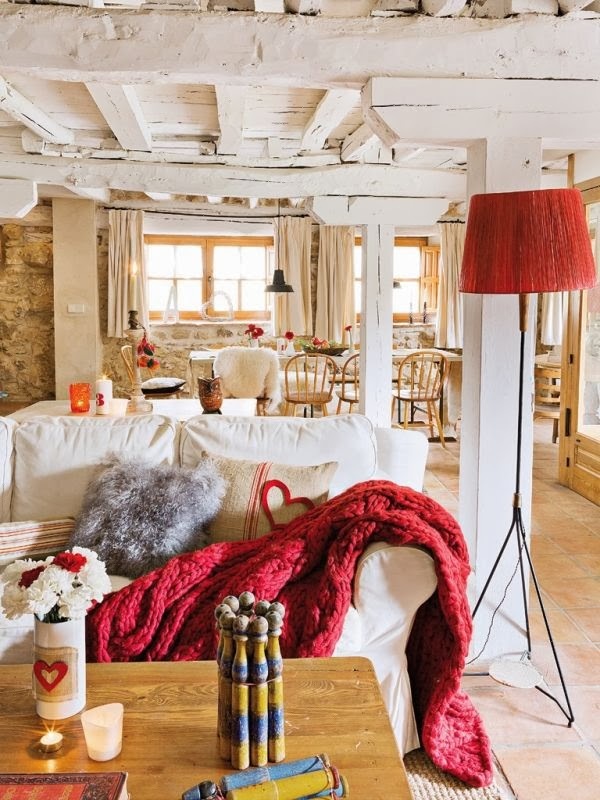 Rustic interiors are not usually very bright or open. They tend to be cozy and intimate. But this is a very special rustic home. The living room here is not only very spacious bu also very bright and it features a surprising color palette. It’s a combination of white and red, although the white is not as pure and shiny as you would expect.